What’s the best strategy for navigating choppy investment markets? The classic advice is to hang on for dear life — but is there a better option? 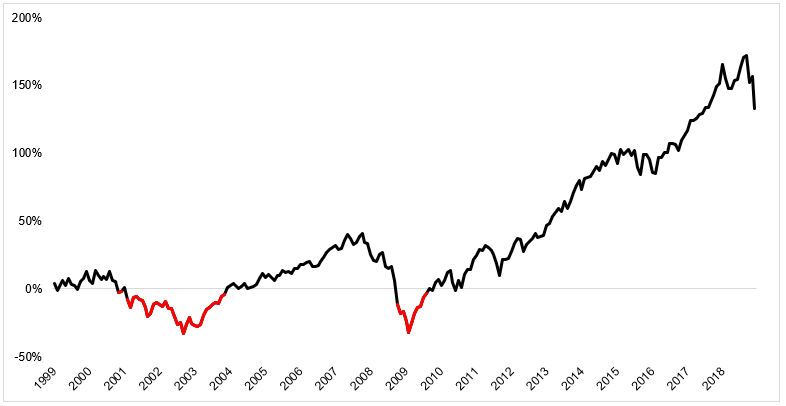 A recent article by Michael Batnick of Ritholtz Wealth Management helpfully reminds us that we have experienced two, very choppy market periods since 1999. Buy and hold worked decently, but not terrifically, during that time. If somebody had invested $10,000 in the S&P 500 in 1999 and held on through the dot-com crash and the Great Recession, he or she would have $29,800 today. But somebody who invested according to the principles of dollar-cost averaging would actually have had a better investing experience. 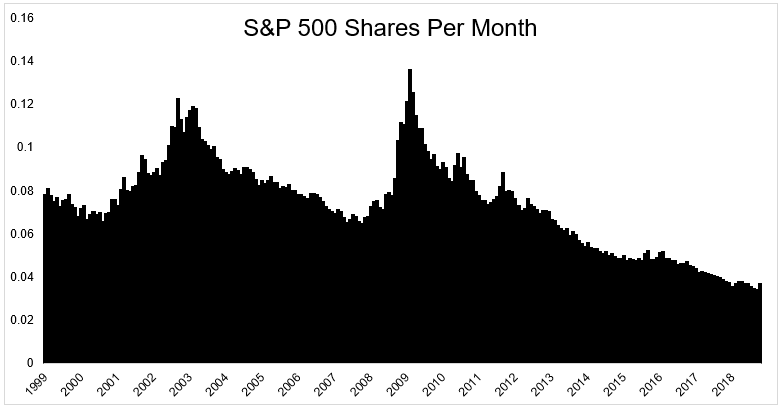 The accompanying chart shows how many shares a person would have purchased, each month, with a $100-a-month investment in the S&P 500. During the two major market downturns, Investor X is buying twice as many shares — at times when stocks are selling at a discount — than more recently, when stocks have become rather pricy. Source: The Irrelevant Investor, 2019. Of course, it takes courage to go buy when everybody else is selling. Don’t you lose money on your investment when you buy stocks and the market goes down that month? And the next? Of course you do. The next chart shows, in red, the times when your steady contributions result in temporary losses, and it also shows what happened, over the long term, for someone who followed through on the strategy. The bottom line: that buy-and-hold investor would have earned an average yearly return of 5.6% a year through two terrible bear markets and the long bull market that followed it. The investor who dollar-cost averaged through these extremely choppy markets would have earned 7.9% a year. There is, of course, no guarantee that this or any strategy will beat the buy-and-hold investor’s returns. 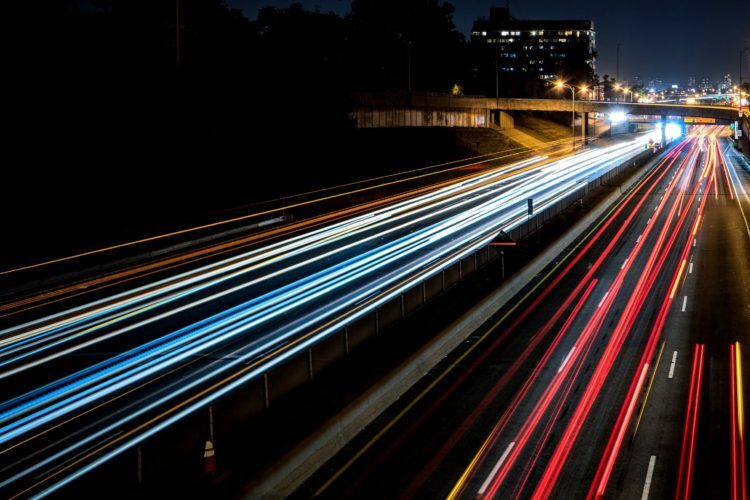 Dollar-cost averaging happens to be a terrific way to navigate especially choppy markets, where stocks are available at an extreme discount once or twice along the way.